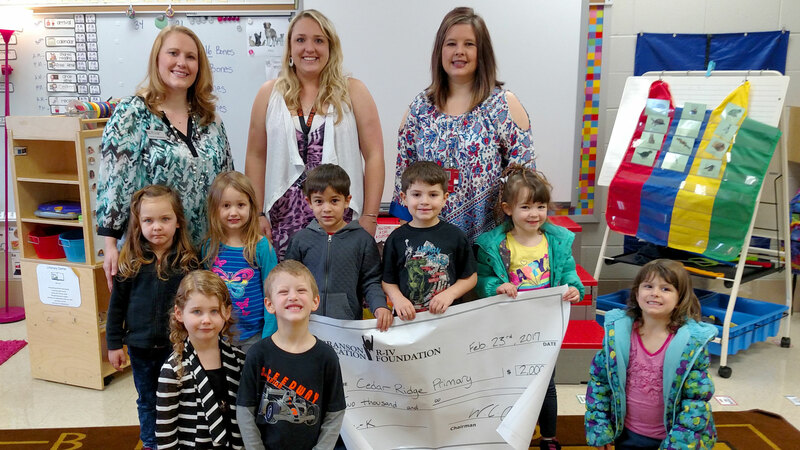 Branson, MO – The Branson R-IV Education Foundation recently presented six (6) grant checks to classrooms and teachers across the Branson School District totaling $12,705.00. Grant Recipients include: (1) BHS Technology Practicum led by Jeffrey Howard, (2) Buchanan Elementary Library Media Center led by Kim Pingleton, (3) Cedar Ridge and Buchanan Intermediate 6th Grade Literature Conference led by Caitlin McManus, Shari Poor, Kelly Neal, and Melody Alms, (4) Cedar Ridge Primary Pre-K Tuition led by Dr. Shelly Worley, (5) Cedar Ridge Elementary 1st Grade Classroom led by Tori Poor, and (6) Branson Jr. High Allied Arts – Family Consumer Science Department led by Christian Rowe. 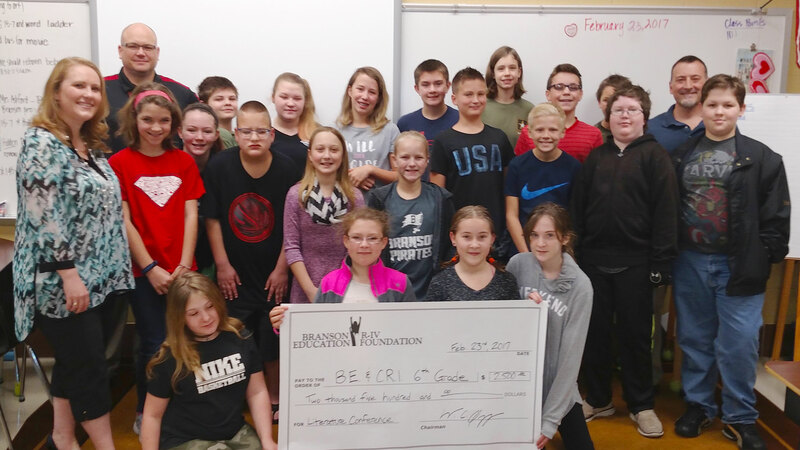 Once a year, the teachers of the Branson School District are provided an opportunity to submit grant applications to the Branson R-IV Education Foundation (BEF). A committee of Board Members, along with a school representative, review the grant applications and score them based on criteria, including: Student Impact, Longevity, and Educational Impact, to name a few. The applications are ranked and then funded based on the amount of funds earmarked for grant distribution. Every building in the Branson School District received grant funds this year to support a variety of activities. These activities include: Technology to support S.T.E.M. activities across the district, Pre-K tuition, Lego supplies, Hokki Stools, FACS baking equipment, and Literature Conference expenses that will bring nationally known authors to the school. 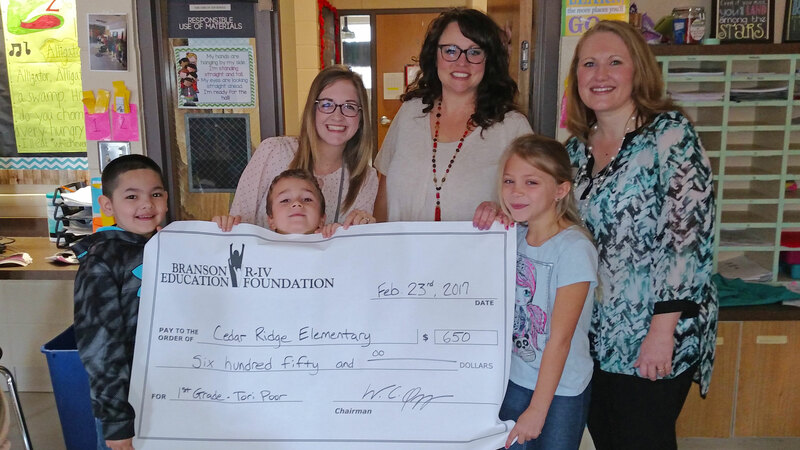 To learn more about each of the 2017 grant recipients, please visit: www.bransoneducationfoundation.org and follow us the Branson R-IV Education Foundation on Facebook. 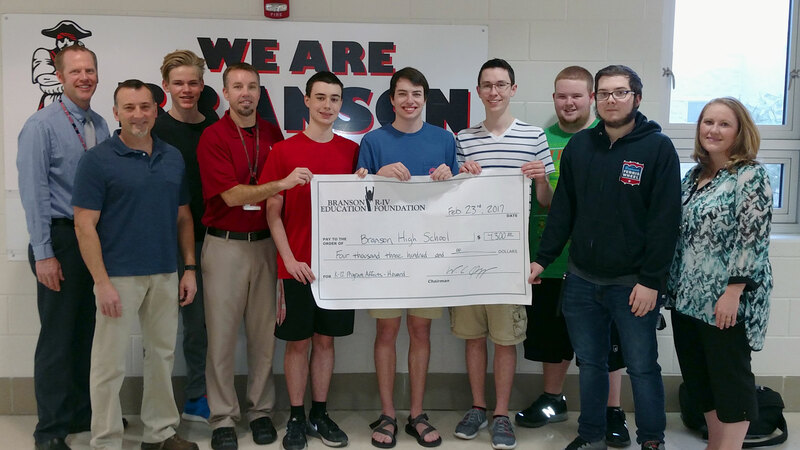 Since 2011, the Branson R-IV Education Foundation has funded over $127,500.00 in classroom grants to the Branson School District due to the generosity of corporate sponsors, Alumni, and the community. If you would like to make a tax-deductible donation to the Foundation, please feel free to mail your donation to: The Branson R-IV Education Foundation, PO Box 697, Branson, Missouri, 65615. The Branson R-IV Education Foundation is a 501(c)(3) established in 2010, independent of the Branson R-IV School District, to establish a means for accepting financial donations and managing them under one roof. 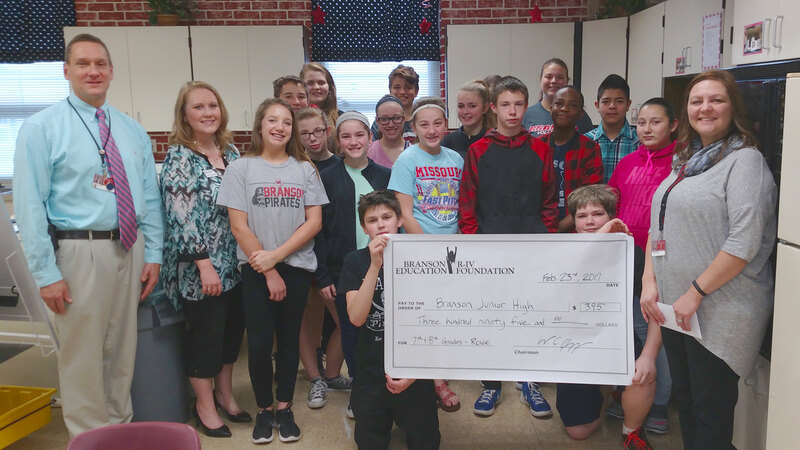 The Foundation helps fund additional programs within the Branson School District through innovative materials, experiences, and other necessary programs in the classroom. If you would like more information about the Branson R-IV Education Foundation, please visit: www.bransoneducationfoundation.org and follow the organization on Facebook.